Come the summer, part of London’s Southbank is transformed into a seaside-like venue with fun and frolics, a sandy area and quadrangle of fountains. On hot days kids arrive in bathers with buckets and spades. In the midst of it a lady sits alone. 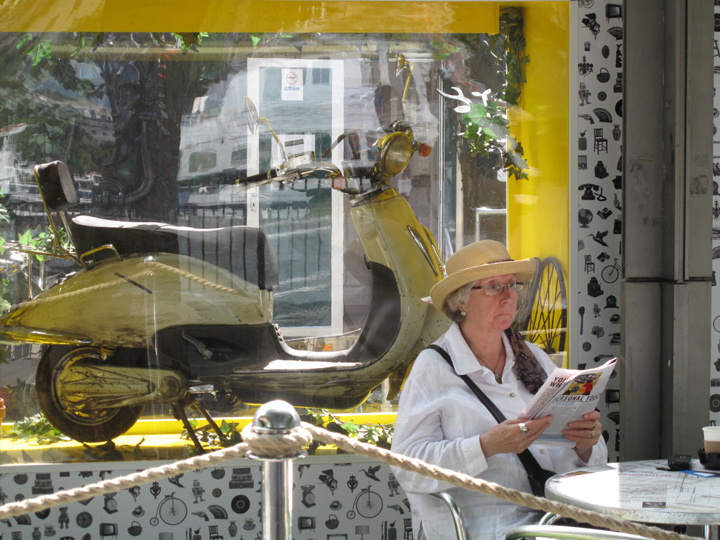 This entry was posted in Photography, Poetry, Writing and tagged London, Portrait, Southbank. Bookmark the permalink. Nice picture and elegant words.